This is Sophie. 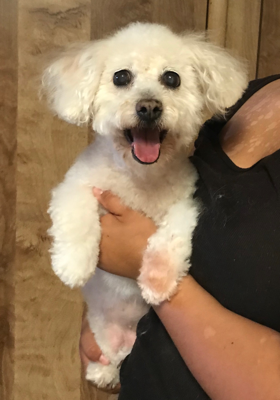 She is an 11 year old Maltipoo. She is good with other small dogs and cats, housetrained, likes to play with toys and is good for the groomer. Sophie will make a wonderful companion.